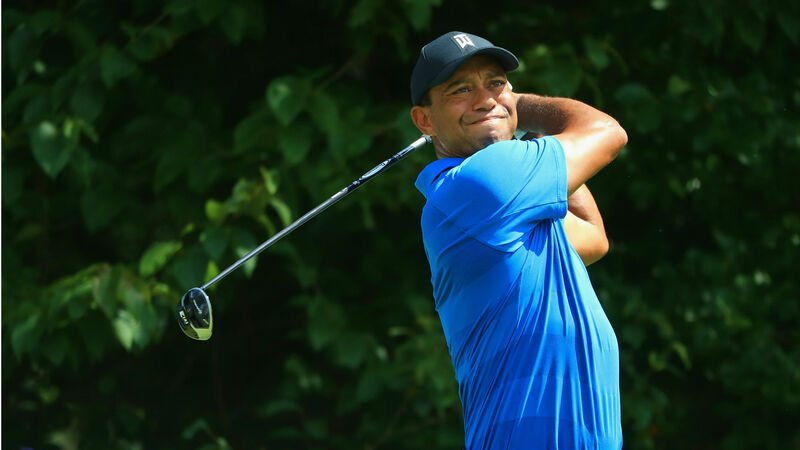 As the BMW Championship opens Thursday, Tiger Woods will tee off on No. 10 at 11:30 a.m. ET along with Rickie Fowler and Jordan Spieth in Round 1; that super group tees off on No. 1 at 12:25 p.m. Friday for Round 2. Here’s how to watch Tiger Woods and the rest of the field live at the BMW Championship. Tiger Woods will tee off Thursday on No. 10 at 11:30 a.m. ET along with Rickie Fowler and Jordan Spieth. You can see tee times and pairings for the full field at the BMW Championship below. PGA Tour Live’s Thursday and Friday streams will begin at 11 a.m. with Featured Groups, including Tiger Woods, Rickie Fowler and Jordan Spieth. After the Featured Groups, Live will transition to Featured Holes coverage on Thursday and Friday starting at 3 p.m. Saturday’s and Sunday’s Featured Holes coverage will begin at 8:30 a.m. PGA Tour Live also can be viewed on Twitter.